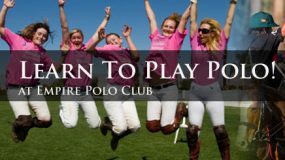 The award-winning Empire Polo Lifestyle Magazine introduces readers to the sport of Polo and serves as a season guide for players and fans. 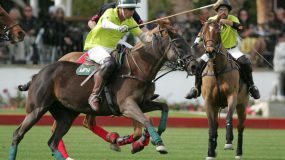 Articles featuring local events, fashion and polo provide a glimpse into the lifestyle of the polo enthusiast. 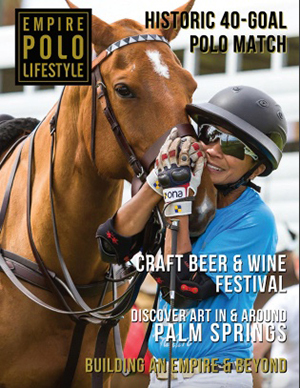 Complimentary copies of the Empire Polo Lifestyle Magazine are distributed to polo players and spectators at Empire Polo Club events from December through March. The magazine is also available in-room at select luxury hotels. The total distribution of print copies is 12,500. If you would like to advertise in our next issue of Empire Polo Magazine, please contact Tony Schieffer at 760-393-7298 or tonyschieffer@empirepolo.com. 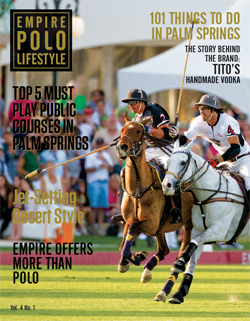 The Empire Polo Lifestyle Magazine won the 2014 GOLD ADDY AWARD for Publication Design. The award was presented by the American Advertising Federation of Palm Springs.